A strong turnout of 16 golfers for the first event of the year – Kilworth … or it would have been if the weather hadn’t conspired against us. After talk of snow overnight, we left a clear Long Itchington , thought nothing more of it and arrived in the Winter Wonderland known as Kilworth (click on the image to the right)! 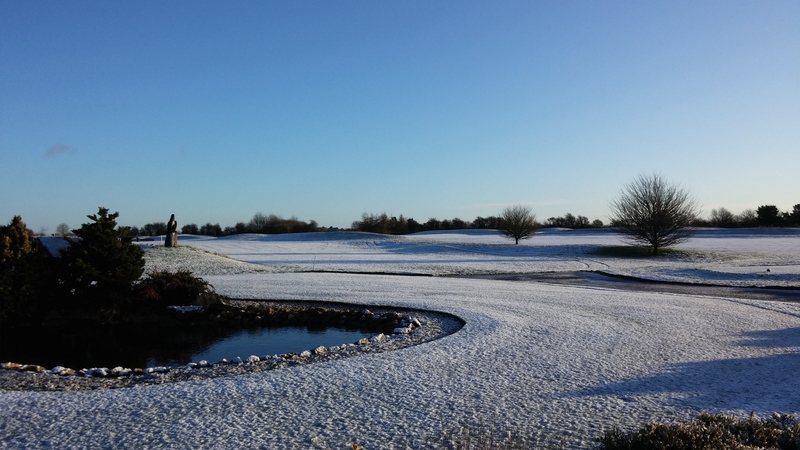 Although the course was open, it was clear that playing on snow and ice wasn’t going to be much fun. 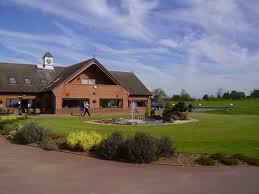 So, after bacon rolls, we headed south to Stoneleigh Golf Course. Stoneleigh had a little ice around on some of the greens, but it was a lot clearer, just a little muddy. The conditions kept the scoring predominantly down in the 20s. However our newly announced Vice-Captain led the way with 34. Well done Roly.